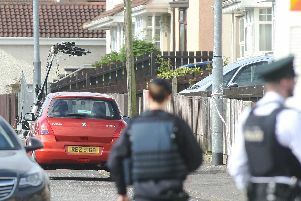 The security alert at Springhill Park in Strabane has now ended and the road has reopened. Two objects were examined by army technical officers and declared viable pipe bomb-type devices. They have been made safe and removed for further forensic examination.